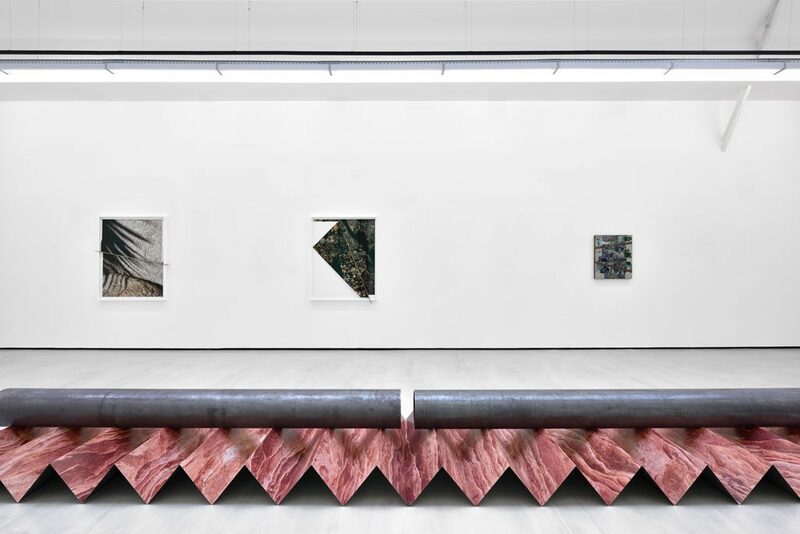 In her solo exhibition Letha Wilson continues to test, push and learn from her chosen materials of photographic prints, metals and concrete. 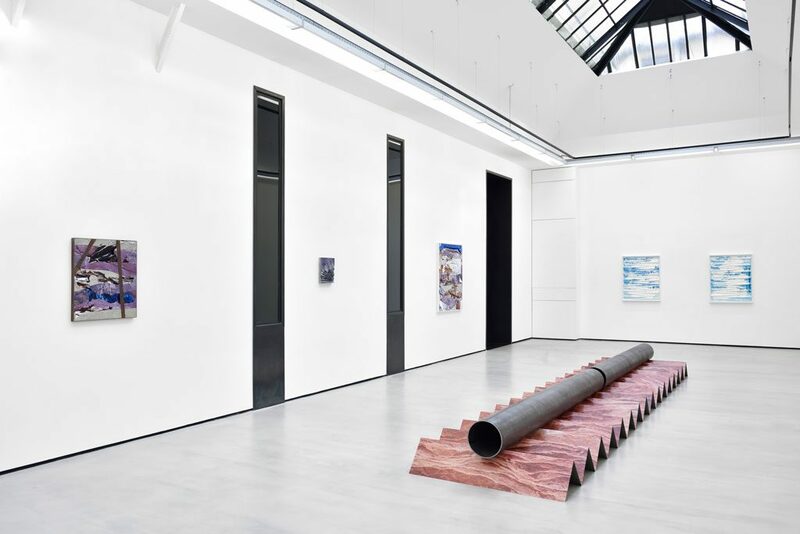 Each element of this exhibition carries the marks of her established studio practice where the dense and the fugitive – the substrates and surfaces – are upended and conflated. 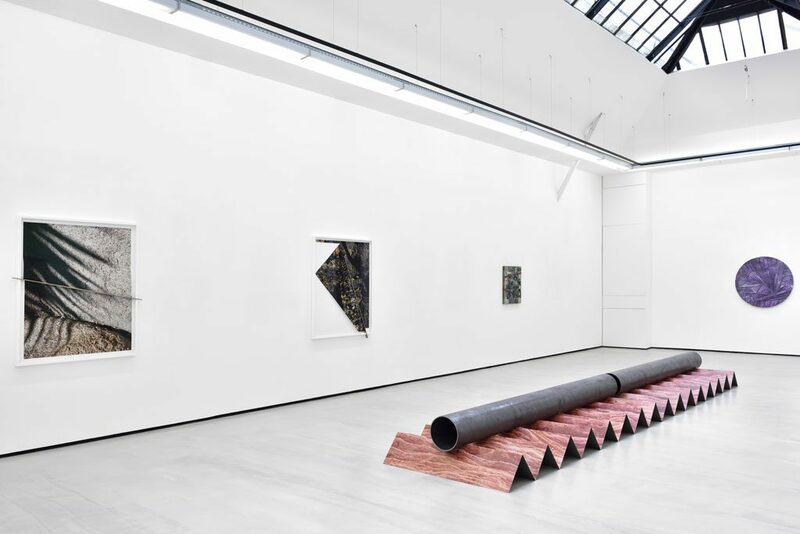 At the center of the gallery, on its concrete floor, lie two ten-foot dark steel pipes. 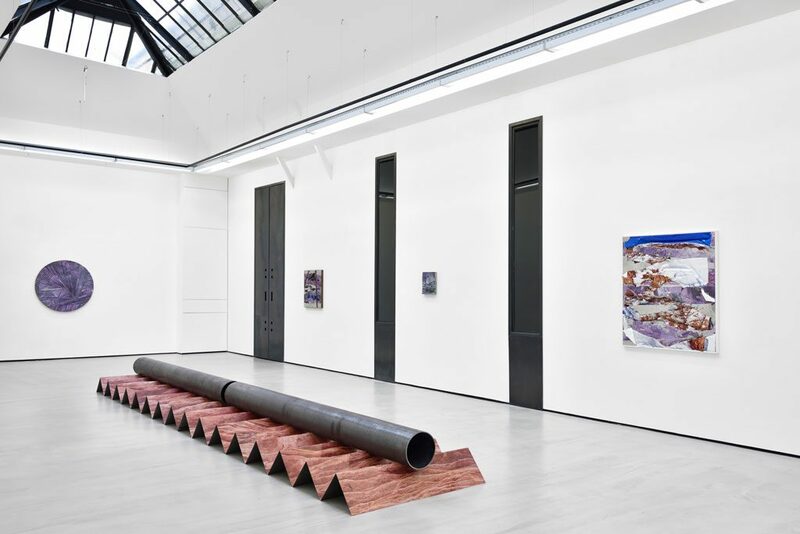 Positioned end to end, they are supported by the bending rigidity of a corrugated landscape photograph printed directly onto twenty-gauge steel. This sculptural analog for the landscape of the American West and the weighty manmade infrastructure that cuts through it is one of Wilson’s most ambitious works to date and acts as the gravitational pull at the center of this exhibition. At the far end of the gallery, the largest of her circular and rippling concrete tondos is positioned. Its purple hued, corrugated photographs are activated here as a connected reconfiguration of the sculptural form and engineering of the central floor piece. In a photographic work Rabbit Ears Pass Cement Fold (Double Angle) the surface emulsion – holding a delicate depiction of nature – has been erased through Wilson’s forcing its folds into wet cement, recording the material response of the photographic print to the still viscous cement. In two works from her Joshua Tree Bronze Push series, delicate cast bronze geometries protrude from the frame with the photographic prints forced to fold and shift in response. 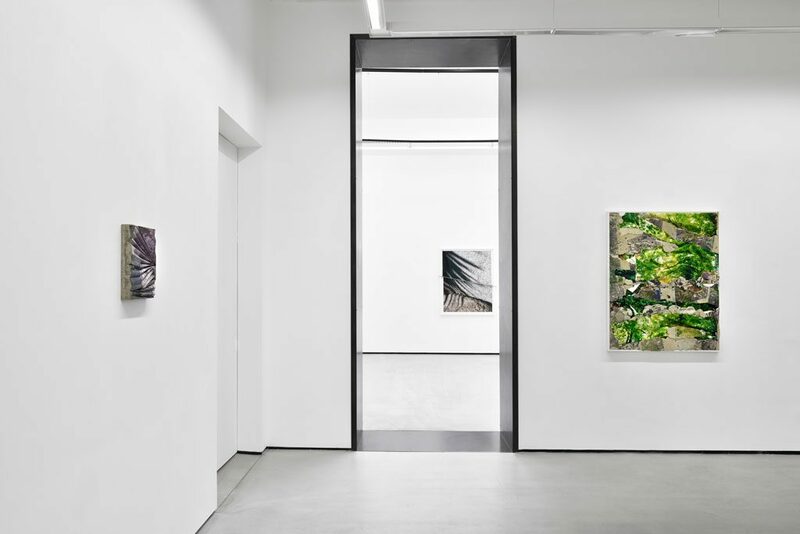 In other wall pieces, steel frames, concrete and shards of photographs are experienced equally as textural surfaces, and flattened into a single pictorial plane. 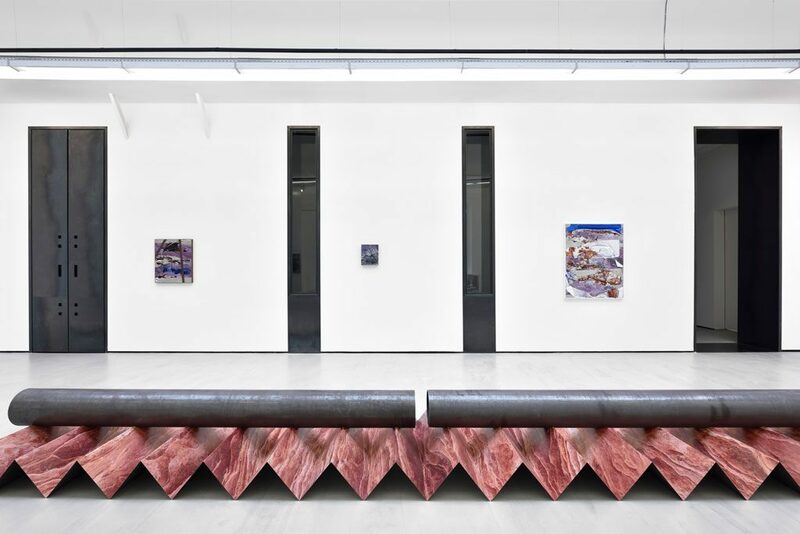 Each component of this exhibition is borne out of the coming together of Wilson’s recent discoveries, where her materials are grounded in their shared nature as substrates, surfaces and physical vestiges of actions. Letha Wilson, “Surface Moves” exhibition views. 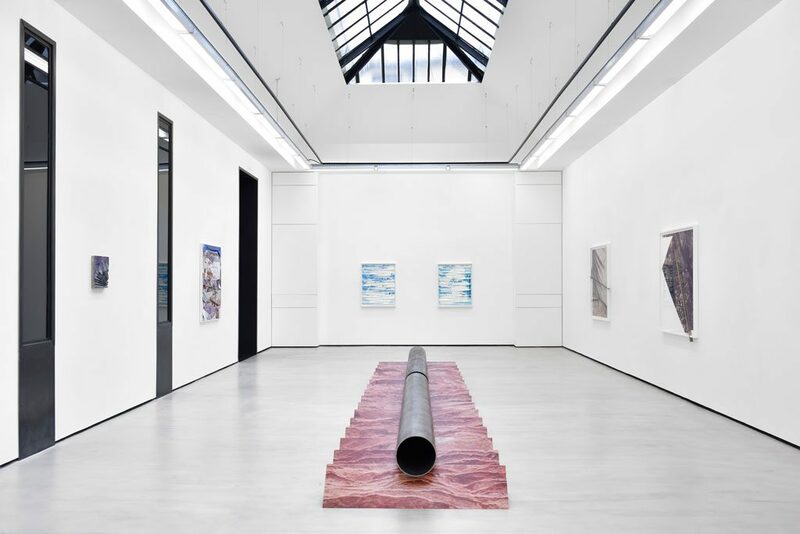 Courtesy the artist and Galerie Christophe Gaillard, photos : Rebecca Fanuele.